The Nook experience doesn’t have to end when it’s time for bed. 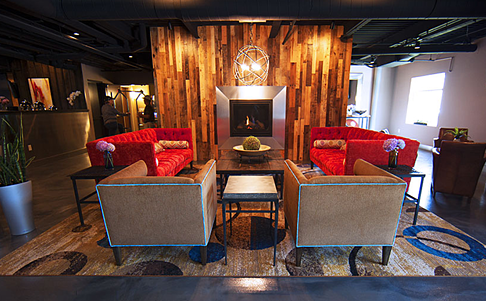 Following a gala, during a tournament, or simply for a weekend away, The Warehouse Hotel at The Nook offers relaxation and rejuvenation in a uniquely comfortable setting. Located just a few steps from the excitement of the nation’s largest indoor sports complex, there’s plenty to see and do when you stay and play with us. Request information about meetings and events at The Nook and the Warehouse Hotel.